Choosing a research method can be bewildering. How can you be sure which methodology is appropriate, or whether your chosen combination of methods is consistent with the theoretical perspective you want to take? This book links methodology and theory with great clarity and precision, showing students and researchers how to navigate the maze of conflicting terminology. 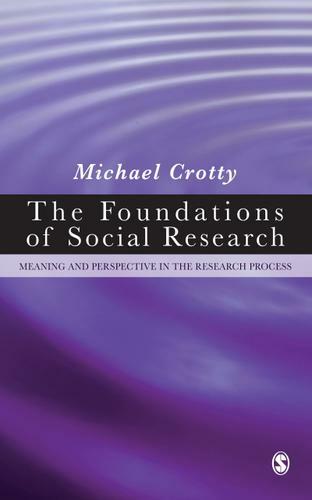 The major epistemological stances and theoretical perspectives that colour and shape current social research are detailed and the author reveals the philosophical origins of these schools of inquiry and shows how various disciplines contribute to the practice of social research as it is known today.